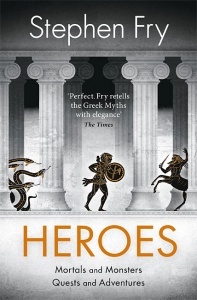 There are Heroes – and then there are Greek Heroes. 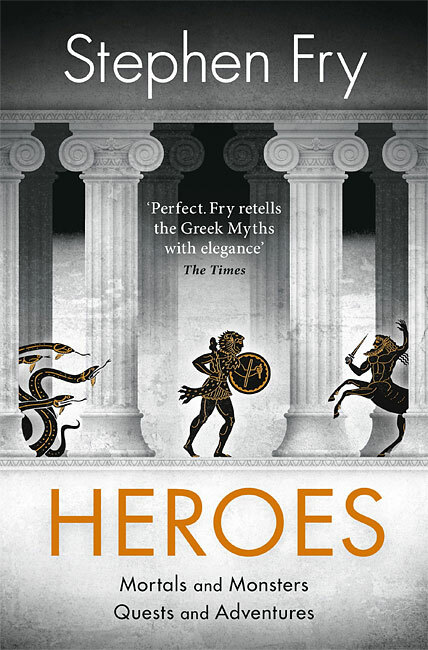 In this companion to his bestselling Mythos, Stephen Fry brilliantly retells these dramatic, funny, tragic and timeless tales. Join Jason aboard the Argo as he quests for the Golden Fleece. See Atalanta – who was raised by bears – outrun any man before being tricked with golden apples. Witness wily Oedipus solve the riddle of the Sphinx and discover how Bellerophon captures the winged horse Pegasus to help him slay the monster Chimera. Filled with white-knuckle chases and battles, impossible puzzles and riddles, acts of base cowardice and real bravery, not to mention murders and selfless sacrifices, Heroes is the story of what we mortals are truly capable of – at our worst and our very best. Fry exhibits enormous erudition and enthusiasm. 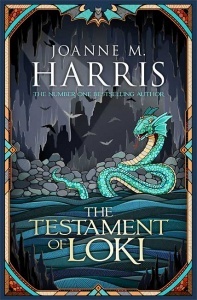 The Greek gods of the past become relatable as pop culture, modern literature and music are woven throughout. Joyfully informal yet full of the literary legacy. A leading London bookshop issued this numbered edition of only 150 copies. The book has a signature page, tipped-in before the half title page, that gives the book’s number. 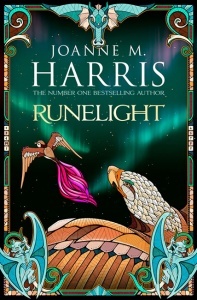 Also printed on this page are the words ‘Exclusive Signed First Edition’, the author’s name, the month / year of publication and the name of the publisher. The handwritten number is in the centre of a blind embossed circular ‘stamp’ (technically known as a seal). Around its edge, the seal reads EXCLUSIVE SIGNED FIRST EDITION. The main body of the book is 410 pages, which includes two 8-page sections of colour photographs.